Do you ever have a painful headache? Yes I have had a few this year and I will do anything to end the throbbing as soon as possible. So I reach to my cabinet medicine and open a bottle and pop some pills in my mouth. Ahh relief! What happens later or the next day? The headache returns, because the painkiller was a temporary relief. I have learned that the real issue could be a sign of a serious health issue or maybe I need more rest or water. I know that pain gets in the way but it is actually is making me aware of an underlying problem. Which brings me to this topic: Is your financial planning a painkiller or a vitamin? Let's first break it down. Painkillers are the kind of medicine that provide a sense of relief right away but they mask the symptoms. When you take a pain reliever, it doesn't go directly to your area of pain, even though that's the spot that hurts so much. They cruise through the bloodstream, mixing metaphors and sabotaging the machinery of pain wherever they find it. That is why they are referred to as pain "relievers". They will get you through the day while our health is silently deteriorating. Vitamins and other supplements on the other hand work overtime. According to the National Institutes of Health (NIH), vitamins are a group of substances that your body needs for normal cell function, growth, and development. By definition, a vitamin is essential. That means your body needs them but can't make them on its own, so you have to get them from food or supplements. “Painkiller” companies ostensibly provide immediate relief to customer and this helps them to drive more revenue or lower the cost of running their businesses. “Vitamin” companies, on the other hand, are seen as a nice to have, solving a pain-point that doesn’t feel all that painful. These companies are perceived as a risky investment for not being driven by intense customer needs — ones likely to drive immediate revenue. The vitamin vs. painkiller dichotomy is a common metaphor. 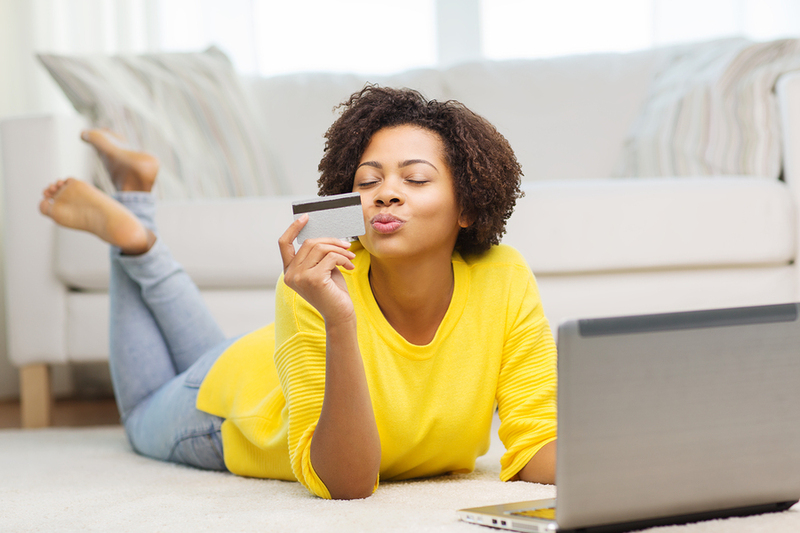 Many women are convinced that it’s better to apply quick fixes to their personal finances than have a solid, preventative measure. Easy financial planning isn’t a vitamin based solution, it’s a painkiller. Which one have you been applying in your life? It can be hard to pause our lives to look deeply into our finances. Thanks to the quick fix this and that, we are now so conditioned to seek quick fixes and immediate resolutions. We all want to constantly be seeing forward progress and positive results. We are too impatient to wait to see how things unfold, we want to know how the story ends ASAP. This is the kind of dangerous attitude that leads to financial mistakes and heartache. Inappropriate decisions made in haste can have lifelong effects in every area whether it’s making a poor investment just to feel like you’re doing something or saving for the sake without a goal. So what can you do for yourself? Financial planning is always compared to a long distance travel. The first thing you need to do when you plan your travel is understand which places you want to go to. Then decide if you can afford it or not, how you are going to get there and where you are going to sleep. Similarly in financial planning; the first step is tounderstand where you want to go: goals or milestones to be achieved. The second step should be to understand your current financial position which is your liabilities, assets cash flows, etc. The third thing is choose the asset class and products to reach that goal. However we more often than not first choose a product and get impressed with its features and invest in it not realising whether the same fits into our scheme of things. So it’s like first choosing to buy a ticket without knowing your destination. As I have learned in my own life, financial planning deals a lot with financial behaviour. We often fear investing at the highest point when valuations are attractive. Similarly we tend to follow fads a lot, so if real estate seems to be doing well we end up allocating a major part of our money towards such assets without even thinking about it. Our emotions play a huge role in our finances, and how we end up spending our monthly income. For example, if you want to buy a house, your emotional side may get wrapped up in ideas bringing you back to the type of house you grew up in where you experienced love, positive relationships and good memories. While it's important to allow our emotions to play a role in our financial lives, it's also important to make sure that you don't let your emotions take over, and take center stage. The financial world is very similar to to the diet industry where there is always the latest ‘lose more weight faster diet’, promising weight loss without any change in lifestyle. New new books in the quick fix category are printed all the time because people keep looking for ‘smarter’ investment strategies promising better returns. Financial planning is about getting today right and asking yourself honest and sometimes difficult question. Dealing with finances involves thinking about the future, addressing current problems, perhaps making spending cuts and, well, talking about money. While making mistakes is a part of life, some mistakes are more painful than others, more so the financial ones, and identifying what went wrong will help you avoid repeating the mistakes. In turn, this will greatly improve your financial situation and set you on the path to financial security. You will only learn this by finding your point of independence and learning strategies for making better financial decisions. We all know that there is rarely a quick fix to any issue! Because you are unique, your financial advisor should help you create a custom financial plan centered around your dreams and goals. And financial success is not by chance. The best thing to do is to avoid the lure of quick money from avenues such as betting, gaming and get rich quick schemes, and work smarter for your money.